Headway Recruitment first came to us in 2011 for help with keeping their business at the forefront of their industry. They were an established brand, but operating in a competitive market focusing on placing office staff in Leeds and Bradford. 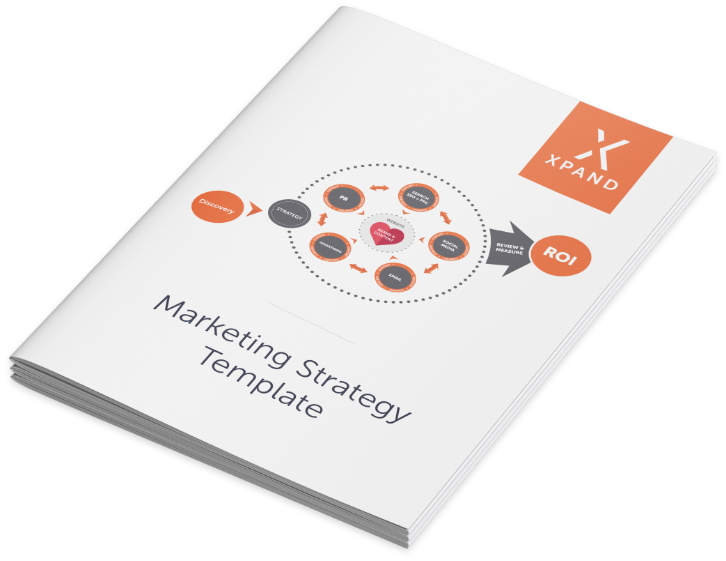 They had been successful using traditional techniques, but as technology advanced, they knew they needed to place more focus on digital marketing. Over the years, we have worked with Headway Recruitment on various aspects of their marketing. The first big project we undertook was a full refresh and rebuild of their website in 2013, to create a site that was optimised to be found on Google. We then started to implement SEO on an ongoing basis, to help them to get to the top of the Google search results and increase online enquiries. In 2016, Headway Recruitment made the decision to rebrand, which we were able to assist with. We conducted a Discovery session with the whole team where we discussed numerous ideas and concepts. This Discovery session helped us to ascertain the core values of the business, which led to the foundation of the new brand identity. 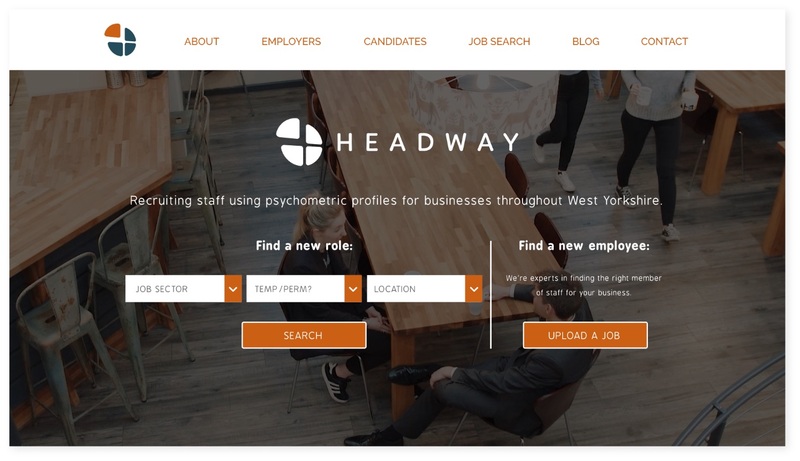 Headway Recruitment place a strong emphasis on psychometric profiling of candidates, and this was the basis of the new brand. We then re-designed and developed the website, in line with the new brand identity, and including custom search functionality and eye-catching visuals. This included the development of an animation, highlighting the core focal area of psychometric profiling. 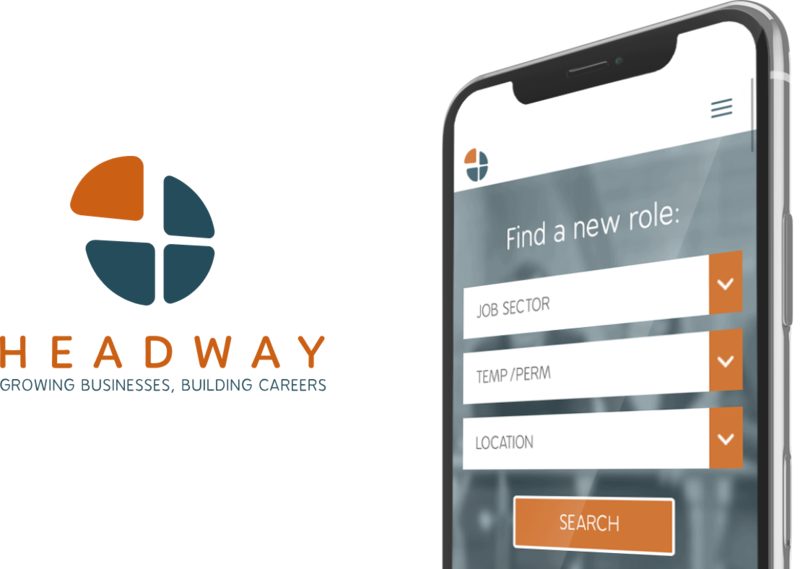 Most importantly, we made sure the new website was compliant with the latest requirements from Google for SEO, ensuring that Headway Recruitment were able to maintain their strong online presence. We continued to work on SEO to help the client to appear high up in the results for highly competitive search terms. 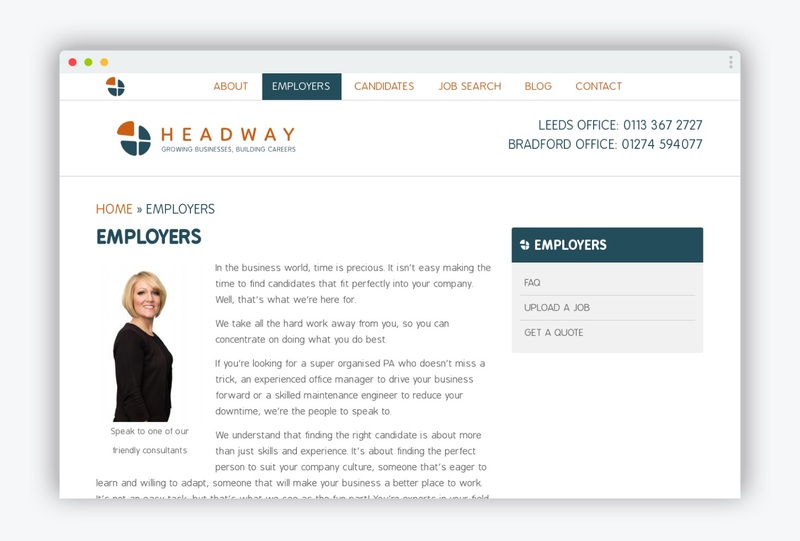 Headway Recruitment now have a visually impressive, highly functional website which allows them to generate business online – with a 27% increase in online visibility between 2017 and 2018. They stand out in a crowded market place, rank well for highly competitive key terms, and appear on the first page of Google search results. As a result, they have seen a steady and sustainable growth in the business - we were able to generate £114,000 of converted business through SEO in 2018.